When choosing an outdoor living space, make sure to consider our log cabin with bi-fold door options as they really do connect the inside and outside for a spacious, light living space. 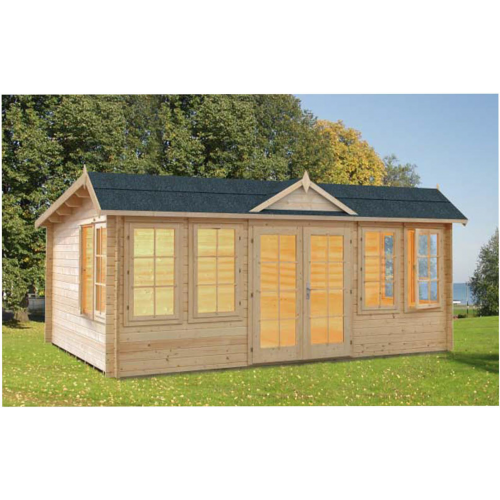 Our Michigan 4 Log Cabin will provide you with the most impressive summerhouse, gym or home office. 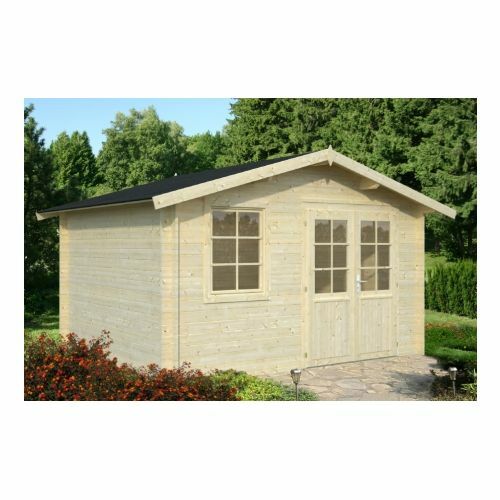 A relaxing and welcoming space that encourages light in, our Miami 44mm Log Cabin is a brilliant home office or personal home gym solution. The generous proportions give you plenty of extra living space. 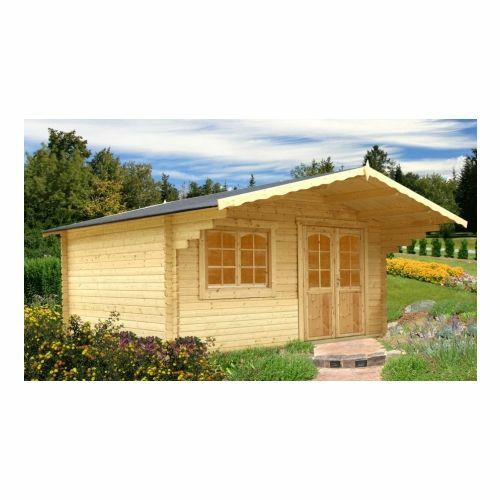 Constructed from thick, high quality 44mm Nordic Spruce, the interlocking logs and wind braces provide a hardwearing and resilient design, plus fabulous insulation qualities. 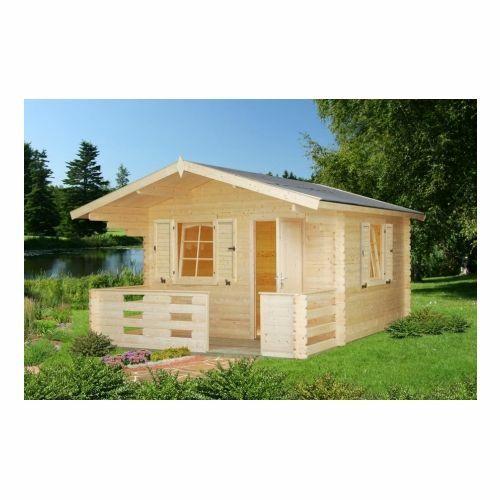 The Michigan 1 is a 3.9m x 3.0m Log Cabin which appeals to those looking for something modern to feature in their garden. 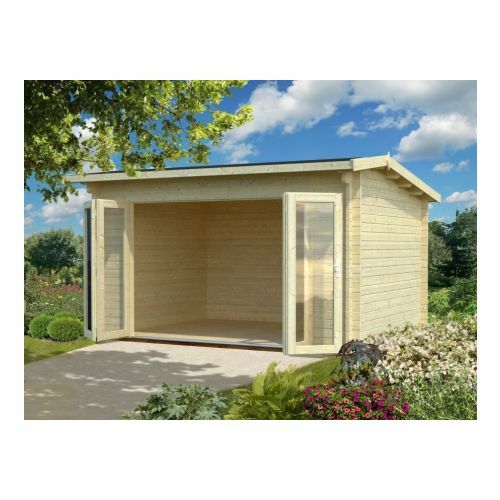 Visually stunning, the Michigan 1features bi fold doors, allowing natural light to flood the log cabin ensuring that you can still enjoy your garden whatever the weather. 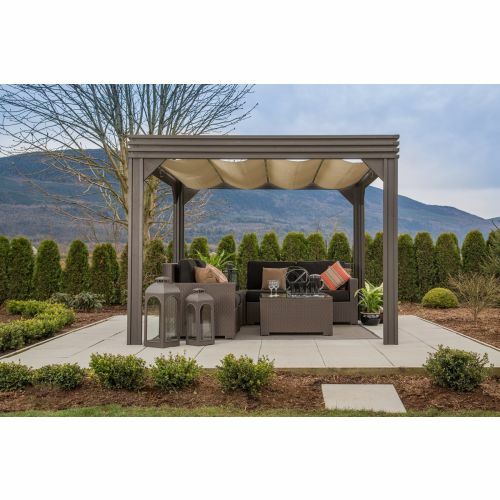 The Michigan 1 is perfect for multiple uses but would serve best being used for leisure such as a hot tub enclosure or social area. 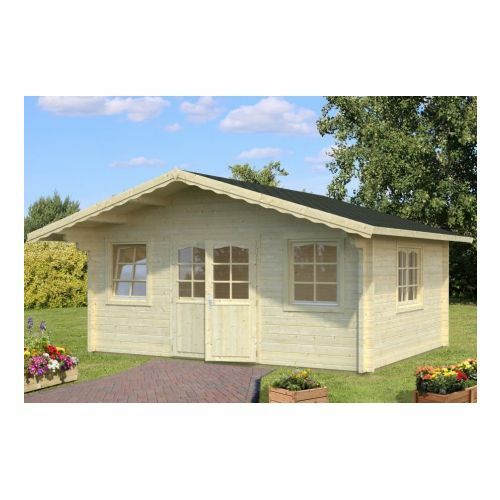 A stunning design that provides an outstanding summerhouse, private home gym or impressive home office, our California 44mm Log Cabin is a spacious outdoor building- 19 square meters of floor space with the advantage of the height being under the required planning permission requirements. 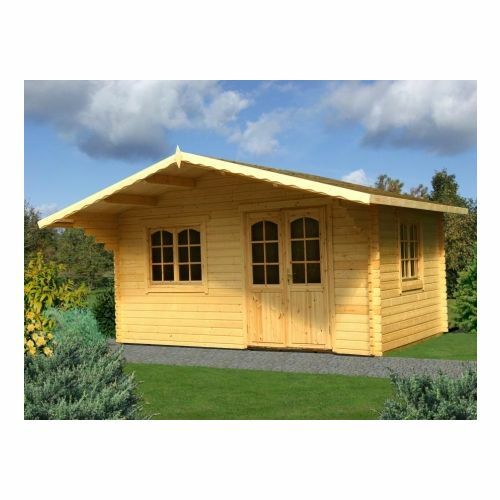 The Brooklyn Log Cabin is a fantastic looking building, with double doors and double windows in double glazing of course, this means that in the summertime the light will flow into the room. 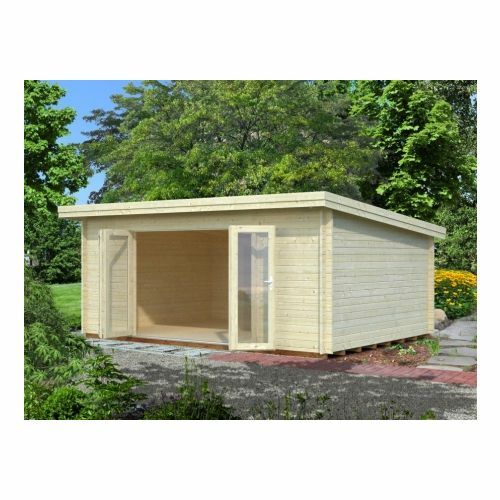 This is one of the largest areas of space that we can offer open plan on a Log Cabin with 44mm thick walls, so we would recommend this to those looking for a workshop or home office. 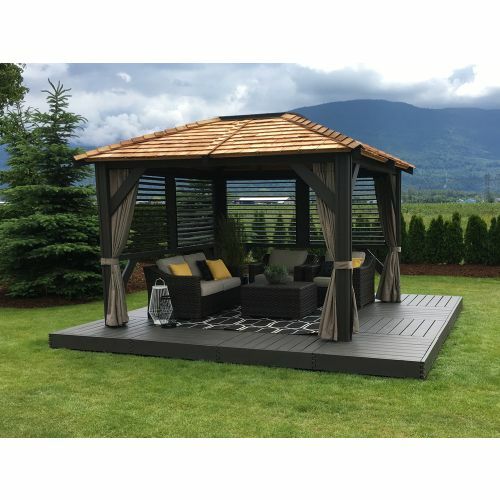 The delightful aesthetic of the building will highlight almost any standard sized garden with ease, especially when coated in a colourful timber treatment.